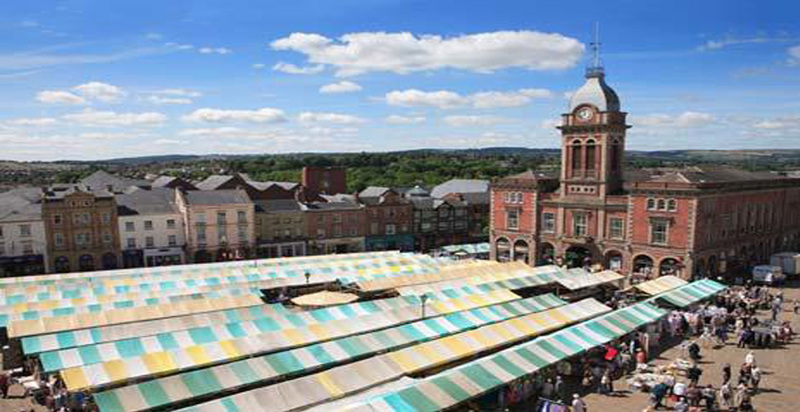 Chesterfield Market Hall is a Grade II listed building. The original building was constructed in 1857 with an extension built as part of a re-modelling programme in 1980. 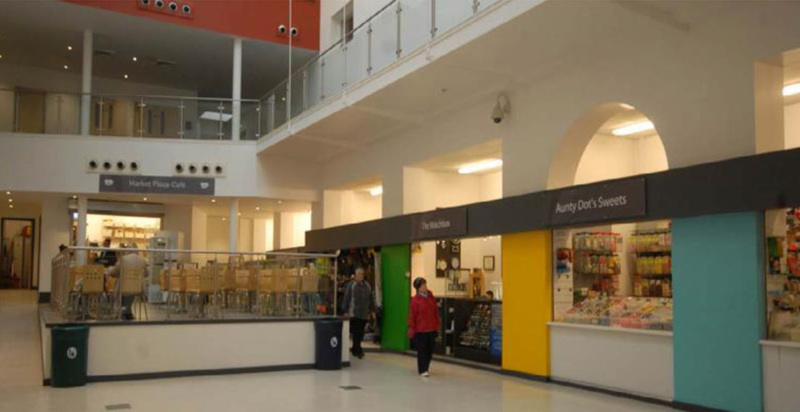 The main challenge of the scheme was working in and around a busy live town centre environment with limited access and egress. An effective logistics plan and regular liaison with local businesses was crucial, as was ensuring the safety of the general public. 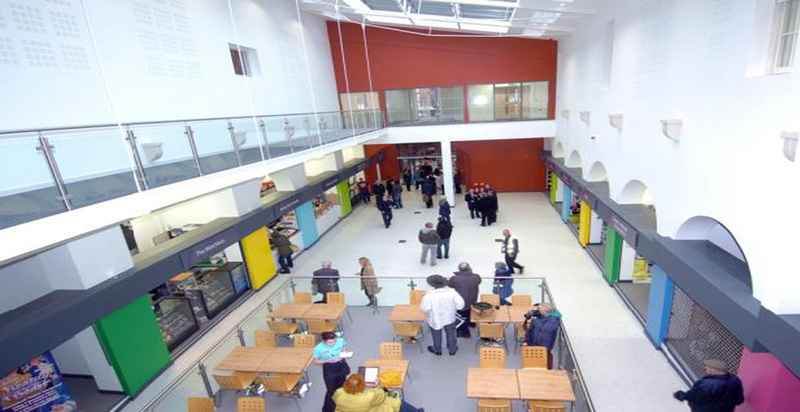 The project also included restoration to the external fabric of the original building, the creation of a contrasting junction between 1980’s and the original building, a new internal balcony and gallery area alongside the Assembly Hall, the formation of a new kitchen/server area, the refurbishment of W.C.s and the creation of a café in the main Market Hall. This iconic building has been restored to its former glory, retaining the integrity of the listed structure, and re-configuring the 1980’s extension to address the fundamental accommodation and circulation issues in the building. 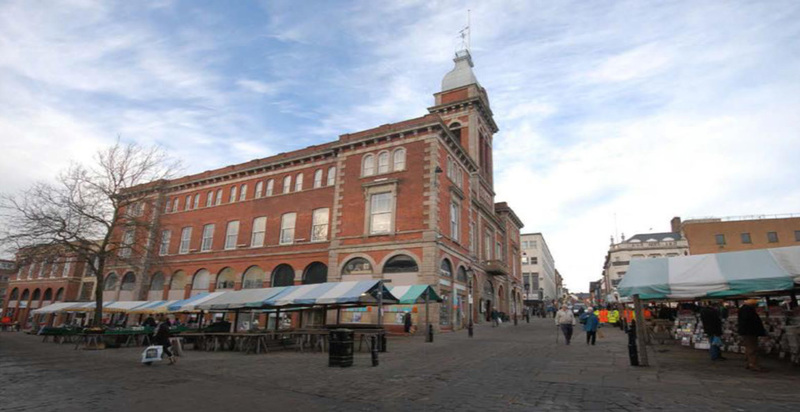 The finished scheme has helped make the Market Hall a focal point of the Town Centre once again.